ACTION HOSPITAL: EXPLOSION OF AWESOME! Well, we’re off and running. Action Hospital is moving forward. Our first page went live today and the response has been wonderful. We’re all super thankful that everyone has responded the way that they have. It’s been really nice seeing people coming together in order to help us promote our work. If you like what you’re seeing here in the Action Hospital you should check out the websites of the people who make it. Action Hospital #1 has been put together by myself, Robert Negrete and Henry Barajas. Henry has is a marvelous writer in his own right. His work can be seen in the amazingly funny comic Captain Unicorn . Henry is also a writer for the Tucson Weekly and a standup comedian of some note. All that and Henry can find the time to letter our little book. Impressive, right? He’s a beast. The dude must sleep even less than I do. Robert is a wicked talented illustrator. His pages look like posters. His talents cannot be exaggerated. You can see more of his work at RobertNegrete.Com Robert is a knockout illustrator and I’m a lucky dude to be working with them. I’m very thankful to be working with these two gentlemen. I’m also very thankful for the outpouring love and encouragement towards us. We’ll try and not disappoint you guys. I love Billy Zane. More than is probably healthy. While I was drawing Awesomenaut, a book about a time traveling super spy I drew a few years back, I watched The Phantom on a loop. I’m not exaggerating. Literally on a loop. I don’t even know how many times I’ve seen the film. The Phantom, the character, holds a special place in my heart. To me, he represents raw potential. Infinite possibilities. Untold stories. 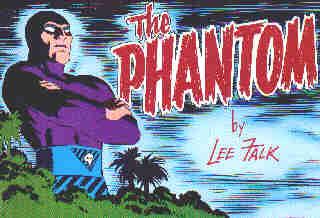 The Phantom AKA Kit Walker is the 22nd inheritor of the mantle of the Phantom. He’s a crime fighter who inherited the lifestyle. He’s trapped in the family business. He believes in what he’s doing but he still is in the family business. I see him as a second generation plumber. People need plumbers but nobody really wants to be a plumber. The Phantom is a symbol. Since all of the Phantoms have been men there’s an urban legend that he’s a ghost or that he’s immortal. There’s a mystical narrative that surrounds The Phantom that would be so constricting as a persons. You’d never be able to put your personal stamp on anything you did. You’d always be defined by your forefathers actions. You’d be perpetually entombed in the personal legend of your family tree. That’s such a great concept for a character and such a tragic coffin of a life. I’m not going to lie, I’ve read a lot of Phantom comics and I’ve never really read one that I loved. I guess it has to do with the character’s long history. There have been a lot of writers who have tackled him and most of them just place emphasis on the fighting and the heroing. His popularity has wained over the past fifty years so I would assume that that, coupled with the fact that the main demographic of Phantom readers is people in their 80’s, has contributed to his stories being limited to the action adventure genre. I’d love to see some Phantom comics that are about Kit Walker as a person. I mean, sure I like punching and spandex as much as the next guy, but I would love to see a bit more complexity in the Phantom stories that I read. Also: the Dynamite reboot of the Phantom was not for me. Sorry, Alex Ross. Didn’t do it for me. I bring the Phantom up because that’s the headspace that I’m in currently. I’m really amped to be writing and co-drawing this comic. I have a lot of things to say through these characters and I want to maximize the potential of the stories on every page. That’s one of the reasons why our issues are going to be so small. We’re doing hyper compressed, extremely stylized narrative-explosions. The Phantom, the ghost who walks, is the spirit animal of this book. This entry was posted in Blog Posts and tagged Action Hospital, art, Billy Zane, comics, Dave Baker, Phantom, Robert Negrete, the action hospital. Bookmark the permalink. ← My God! He’s Done It!